Having just let go of a super-rustic in the coastal slice of Santa Barbara County for $34 million in July of last year, and their historic Spanish-style ranch a short distance away for $11 million in May, Ellen DeGeneres and Portia di Rossi recently returned to their old stomping ground of Montecito with the purchase of a new-ish Balinese contemporary home on over eight acres of waterfront land. The pair’s latest residential investment set them back $27 million, although the property had been marketed at $40 million last September. The house is of a newer vintage than some of the more striking examples the duo has renovated and flipped, and dates to 2011. It’s an interesting case, carrying off an intense Pacific Island and Asian feel in its smallest details, and never losing the narrative. Accordingly, bamboo and cane accents, open raw wood ceilings, and ceiling fans are frequently spotted. Concessions to the contemporary style include abundant glass and black window frames, matte-finished plank hardwood, and popular accents like barn door hardware and recessed fixtures. The house contains 5 bedrooms and 10 baths in nearly 8,250 square feet. Gardens, art installations, a cozy one-bedroom guest cottage, a pond, a pavilion, an infinity pool, a cabana with gym, and panoramic views fill out the large lot. DeGeneres and di Rossi have an eye for properties with character. 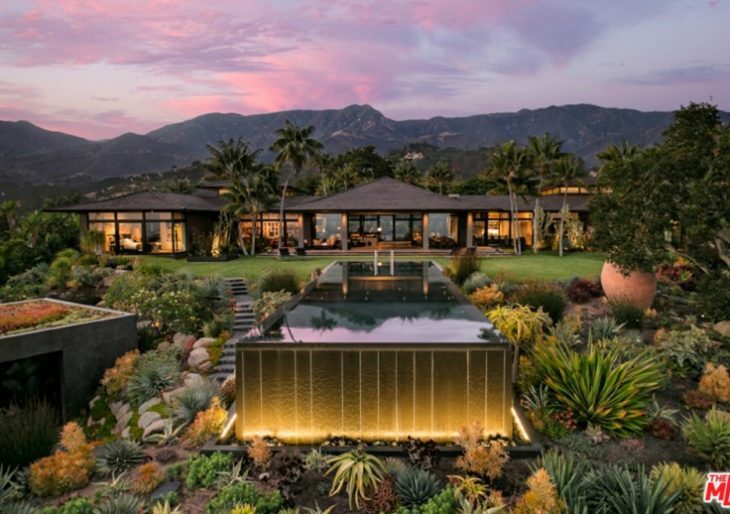 The pair’s most recent purchase came last October, when they picked up an individualistic and grandiose John Elgin Woolf-designed home in Beverly Hills for $15 million.